On Wednesday, the Brooklyn Nets unveiled a new alternate jersey that they’re calling the “Brooklyn Remix.” The dark grey kits with a black and white, stars-and-stripes trim, dip back into Nets history, influenced by previous designs from the team’s Long Island and New Jersey eras. 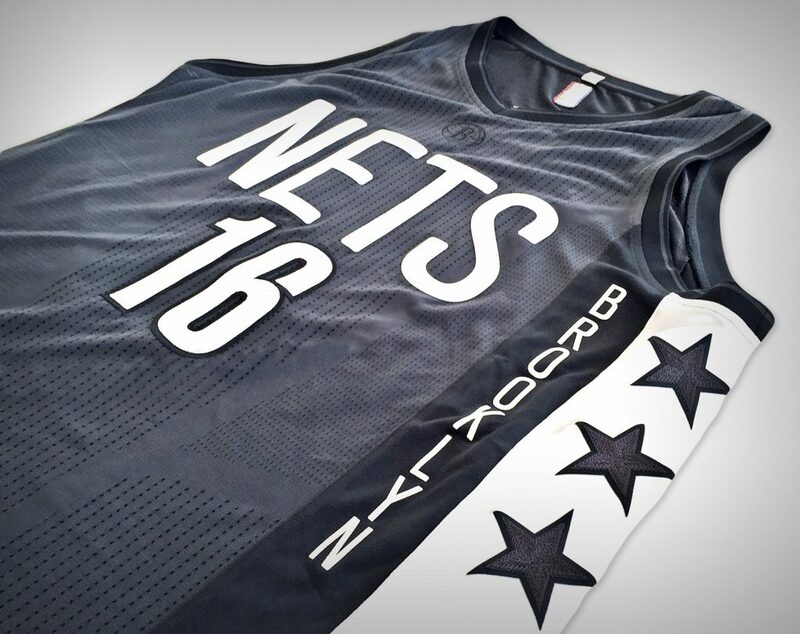 Aside from the sleeved stars-and-stripes jerseys that debuted during the 2014-15 season, these mark the first time since the team’s move to Brooklyn that the front of the jerseys will read “Nets” instead of “Brooklyn” (although the borough still makes its way on with a vertical stripe to the side), a move that should please long-time fans with more attachment to the franchise than the location. The design, which will be worn by the team for their home opener against the Pacers on October 28 and 11 more times throughout the season, was shown to new Nets Jeremy Lin, Chris McCullough and Caris LeVert on Facebook Live and received high marks from the players. You can cop these at the Barclays Center’s “Swag Shop” now and online starting September 19.